Prosecutors and investigators who worked the 1988 murder case that resulted last week in the conviction of Timothy W. Warnick said the verdict was the result of multiple years-long investigations and the cooperation of dozens of witnesses. A jury found Warnick, now 58, guilty of first-degree murder and robbery in the death of Henry E. “Ricky” Ryan. After hearing five days of testimony and deliberating for two days, the jury announced its guilty plea Thursday and their recommendation that Warnick receive life in prison and a $100,000 fine, the maximum sentence allowed under Virginia law. Ryan, was last seen on September 30, 1988, leaving a roadside pull off along the Shenandoah River on Bloomery Road in West Virginia. According to witnesses, Ryan was last seen going on a beer run with Warnick and a third unknown man. Ryan never returned. His body was found six months later in a shallow grave off of Rt. 9 in Loudoun County. He was 29 years old when he died. Perry said bringing the charges against Warnick and then presenting enough evidence to convince the jury to find him guilty was a team effort of the Loudoun County Sheriff’s Office Cold Case unit, the more than 20 witnesses who testified, and the county’s victim witness program, an arm of the Office of the Loudoun Commonwealth’s Attorney that ensures crime victims and witnesses receive fair and compassionate treatment. Ryan’s death was the focus of several investigations over the past three decades. After it sat cold for years, former Loudoun County Sheriff’s Office detective Mark McCaffrey re-opened the investigation in 2009, and he spent the next four years working the case. He said on the stand last week that he had identified Warnick as the prime suspect for Ryan’s murder at that time but Commonwealth’s Attorney Jim Plowman wanted to find out more about the third man that witnesses said was in the truck with Warnick and Ryan the last time Ryan was seen before filing charges. That man’s identity is still unknown. The Sheriff’s Office reopened the investigation in 2015. Three years earlier, Sheriff Mike Chapman had established the office’s Cold Case unit, which is staffed with investigators tasked with focusing on unsolved death cases and reviewing evidence with the benefit of advances in technology. During that exercise, investigators heard new information from witnesses, some of whom said Warnick had confessed to killing Ryan. Warnick was indicted by a Loudoun County Grand Jury back in June 2016. 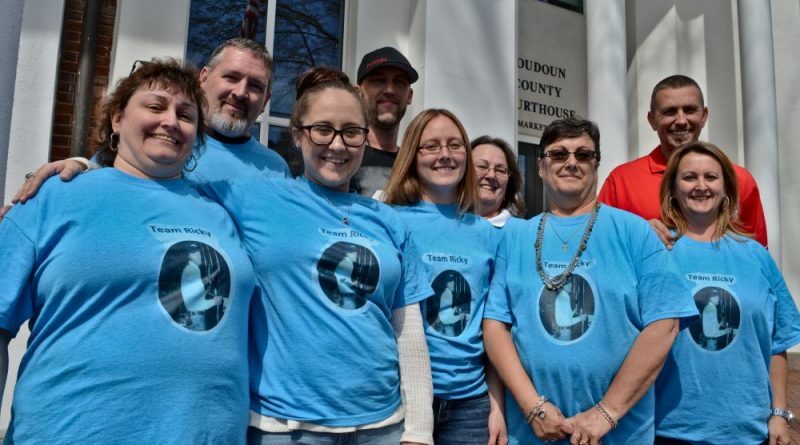 He thanked the Jefferson County Sheriff’s Office in West Virginia, the Office of the Loudoun Commonwealth’s Attorney, and Ryan’s family for their support in the case.